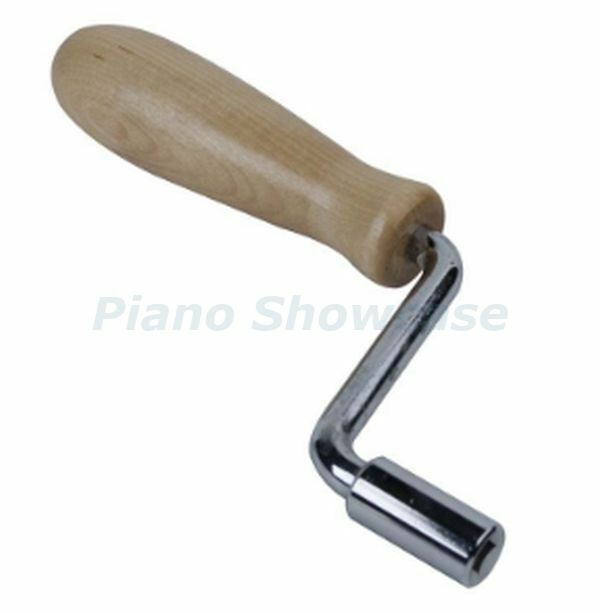 Traditional hardwood handle style has a square tip opening that fits onto tuning pins for easily winding coils. The nickel plated steel crank measures 3" in width from the shaft centers. Received quickly. Crank is of good quality.